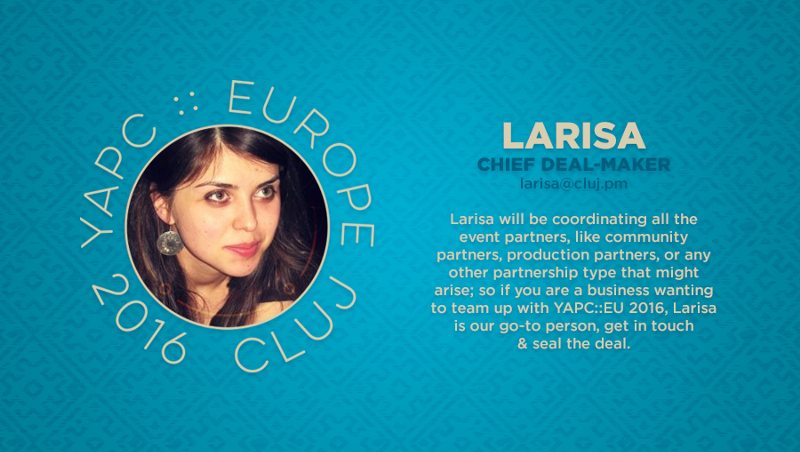 Meet Larisa, our chief ‪#‎dealmaker‬. Larisa will be coordinating all the event partners, like community partners, production partners, or any other partnership type that might arise; so if you are a business wanting to team up with YAPC::EU 2016, Larisa is our go-to person, get in touch & seal the deal. Check out the conference website & join us as speakers, sponsors, exhibitors, volunteers, or attendees http://act.yapc.eu/ye2016.